New IBF lightweight champion Richard Commey won’t be able to fight WBA and WBO lightweight champion Vasiliy Lomachenko in April. 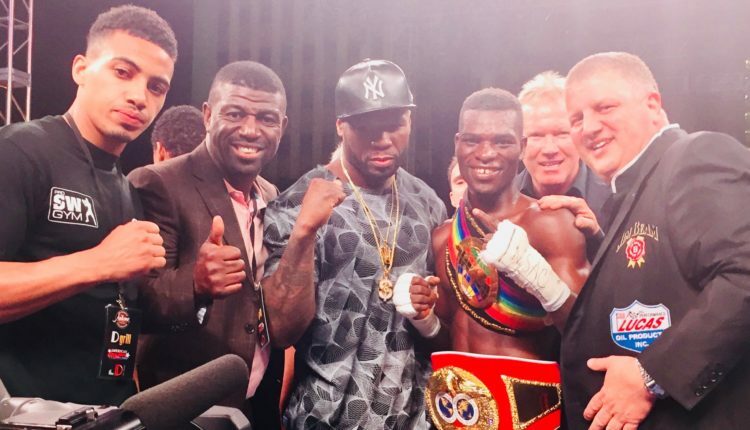 Commey was revealed to have a floating tendon in his right hand after injuring it during a fight on February 2. In that fight, Commey scored a second-round TKO win over Isa Chaniev to become the new IBF titleholder. The injury will keep Commey out of action for around six weeks. There were talks of having Lomachenko and Commey fight each other to unify the three world titles in Los Angeles on April 12. That fight date is no longer possible for Commey and so his promoter Lou DiBella is currently working with Top Rank in the hopes of rescheduling the fight for a later date. “He’s going to see a another specialist next week, so I’m going to be huddling up with Top Rank and we should know if we’re going to be able to reschedule it by next Tuesday,” DiBella said. Meanwhile, Matchroom Boxing promoter Eddie Hearn is looking to secure a fight between Lomachenko and mandatory challenger Anthony Crolla. The WBA gave an exception for Lomachenko to fight Commey instead of Crolla if the unification bout can be made for April.